David Zink Yi | Geschlossene Kurve, bei der für jeden Punkt die Summe der Entfernungen konstant ist. Auslassung insbesondere inmitten von etwas. We are pleased to be able to present to you this new individual exhibition of works by David Zink Yi (*1973), featuring an installation and a video work by the artist. As already at his last exhibition at KÖNIG GALERIE this installation also turns to aspects of craftsmanship and cultural identity, thus exploring questions of sculpture and its origins in their execution. An ellipse is the basic form of the central work that dominates the exhibition space. Its construction is based on two radii, which create the ellipse in their relationship to one another. The size and form of the sculpture are only truly grasped by walking around it. The artist combines a reduced, minimalist form with an incomparably more complex technique. This is further compounded by the artist's own background. His grandfather was a cooper in Bavaria before emigrating to Peru. 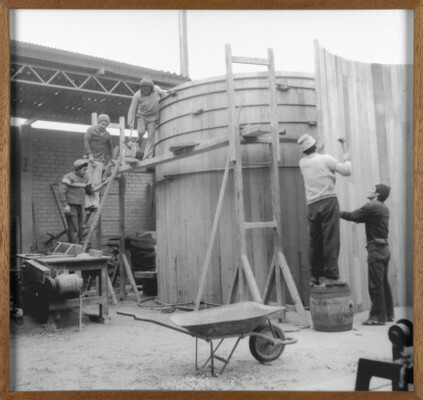 On arrival, he first worked at a brewery, and then founded a barrel making company. David Zink Yi met a seventy-year old Peruvian who was trained by his grandfather, from whom he learned the technique of coopering. In so doing, the artist carried out a multi-layered transfer of knowledge. He thus acquired his grandfather's knowledge and made it the basis of his own work, then shipping it in the form of a concrete object back to Europe. In the context of the exhibition, the elliptical sculpture undergoes a powerful aestheticization, content and content step behind the object's form. 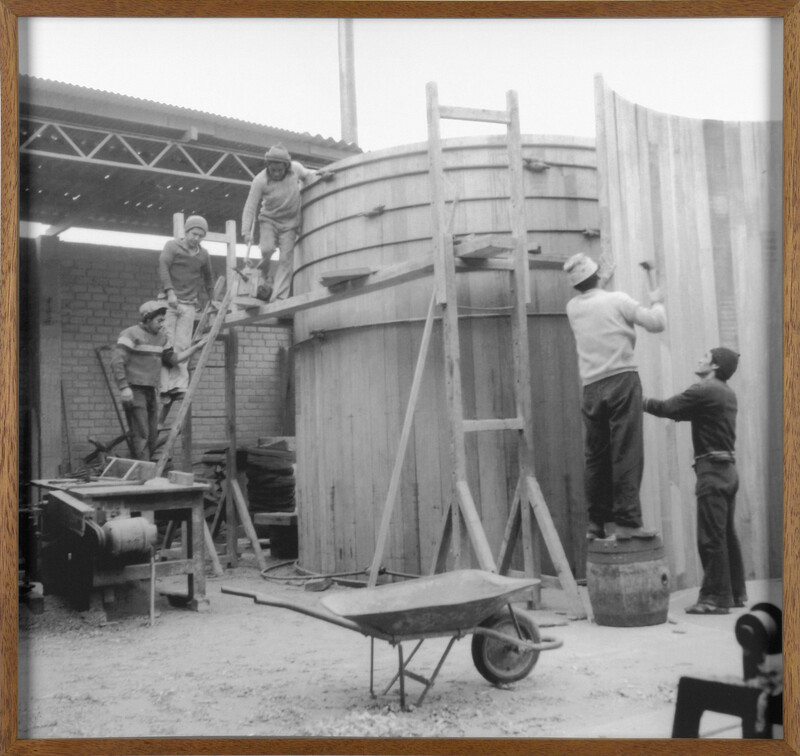 The Peruvian wood Zink Yi used for the work is also used for the frame of the photograph showing the Peruvian cooper making a barrel at his grandfather's company. It thus refers to the technique lying at the origins of the work. 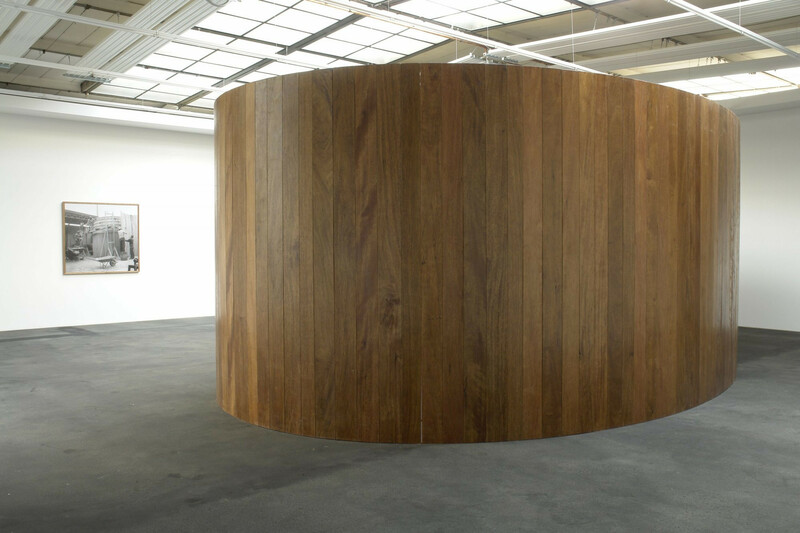 Picking up the definition of the form, the first part of the exhibition title refers to a geometric ellipse, while the second part refers to the closely related term "ellipsis." The German-Peruvian artist, who is a trained cook and woodcarver, expresses in his installations and videos how personal identity and history in many ways mark the individual and how strongly this search for identification is tied to everyday practices and craft traditions. 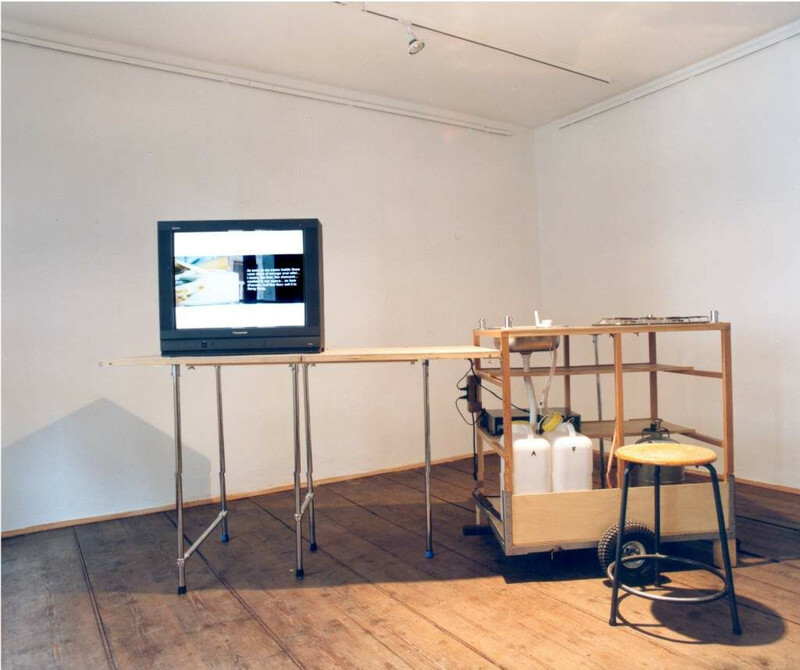 These aspects are in turn picked up in his video work Dedicated to Yi Yen Wu (2000), in which three persons speak of their various ethnical identities and their cultural landscapes as well as their various transnational experiences and traditions. While speaking about their life stories and their pasts, they prepare various meals, in this way linking everyday languages and culinary traditions to their own personal histories. Until the end of 2006, David Zink Yi's video installation Independencia I is being shown at Cologne's Museum Ludwig. The dual projection, made in Cuba, treats a musical instrument, the drum, pointing to the various layers of its sociocultural significance.